Wealth Creation: encompassing mutual funds and insurance products. Wealth Preservation: tax reduction and tax planning programs with qualified and non-qualified plans. Wealth Transfer: networking with accountants and attorneys to develop plans for transferring wealth to a client’s survivors. Instruments of transfer include wills, estate planning, trust planning and survivor-ship trusts. The danger is not in planning to fail, but in failing to plan. 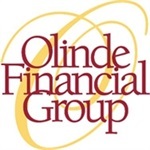 The benefits of working with the Olinde Financial Group exceed the potential for monetary growth and fiscal stability. As a client, you gain the assurance of working with an independent investment and insurance services company that consistently puts your interests first. The Olinde Financial Group team strives to help you achieve your goals by guiding the planning process, implementing a plan, and monitoring that plan on a regular basis.